Walking can be a great way to get your daily exercise. Research shows that walking as little as 30 minutes a day can lower the risk of heart disease (America’s Number 1 killer) by as much as 40 percent. By even taking two or three 10-15 minute walks per day, like around the parking lot at work, people can improve blood pressure, reduce the risk of diabetes and improve mental well being. I have been on and off a regular walking program for the last year and there is no doubt that when my program is operating strongly, I feel a lot better, lose weight and make better choices relating to my health. So when the great people at Vionic Footwear offered to help me kick-start my walking program for 2015 with a pair of walking shoes, I jumped at the opportunity. One great thing about walking is that you don't need any fancy equipment to start a walking program, just a good pair of shoes. There are a lot of athletic and fitness shoes on the market, and it can be difficult to choose the right pair. According to a study by the American Podiatric Medical Association (APMA), 72 percent of Americans say they don't exercise because of foot pain. This astounding figure emphasizes the importance of getting started with a pair walking-friendly shoes or sandals that are breathable, offer good arch support, are relatively lightweight and have flexible soles to allow the front of the foot to flex comfortably. Vionic Footwear with Orthaheel Technology offers footwear that helps prevent and alleviate foot pain and fits a variety of lifestyles. Vionic shoes feature a removable orthotic footbed that supports feet and helps realign the lower-legs, improving posture and balance – an ideal option for daily fitness walking. Plus? They look great too! According to Dr. Andrew Weil, “Walking can become almost equal to jogging in terms of getting your heart rate pumping for a healthy cardiovascular workout. It is probably the safest [exercise] option of all, with the least chance of injury.” I find that walking with a friend motivates me more than walking alone. I've joined up with a group of women in my neighborhood also challenging themselves to walk more, and also made a regular walking date with a couple friends. On days that I do walk alone, I find a motivating Podcast gets me going better than a playlist of songs. It seems as if my brain can take in more information, along with oxygen during a walk. So I count that as multi-tasking. I'm exercising AND learning something too! I also track my steps and activity level with my FitBit Fitness Tracker. I've used it for years and it's my favorite. It's easy to use, and I don't even know I'm wearing it! I am also starting to explore some essential oils to help keep me motivated during my walks. So far, I've tried Lemon, Peppermint and Valor. If you want to start a walking program for yourself, now is a great time because Vionic's annual Walkabout challenge starts February 1st, just in time for National Heart Health Month. The Walkabout encourages people to live a healthy lifestyle simply by walking everyday for 30 days (for as little as 30 minutes). The initiative is co-promoted by Vionic spokespeople Dr. Andrew Weil and celebrity trainer Juliet Kaska. The Walkabout campaign is open to the public and anyone can participate in the Vionic Walkabout simply by signing up. 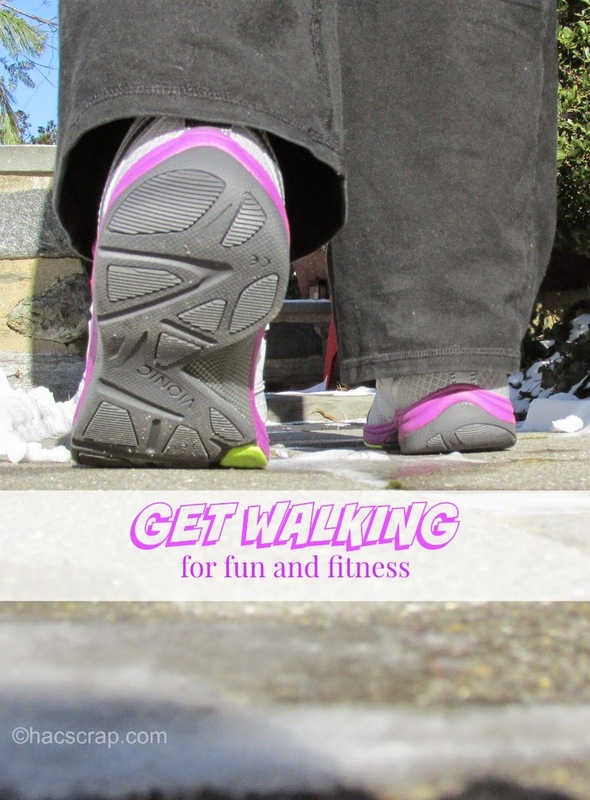 Participants will receive Vionic’s “Get Active” guide with fitness tips to optimize your Walkabout experience. This year, Vionic is partnering with SparkPeople, an online platform that helps users to reach their goals and lead healthier lives through free nutrition and fitness tools, expert created content and a vibrant, supportive community. Where will you walk this year? And be sure to let me know, here, on Twitter or Facebook if you sign up for the Vionic Walkabout - we can cheer each other on! 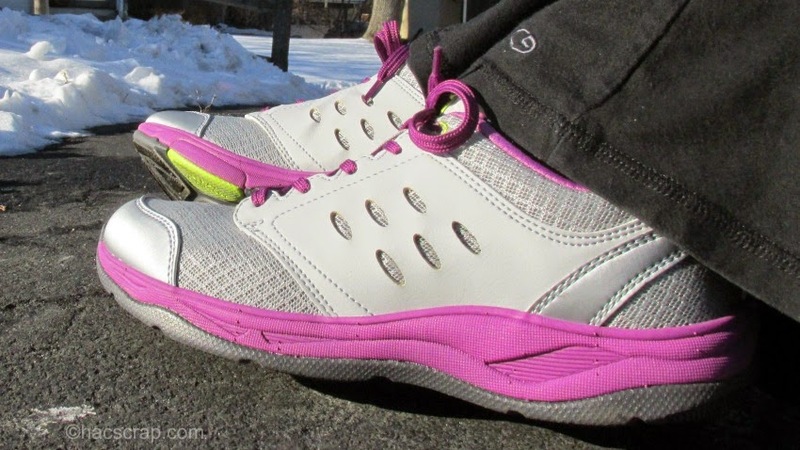 Disclosure - I received a pair of Vionic Walking Shoes for review. I was not compensated for my time or for this post. As always all opinions are my very own. Statistical information provided by Vionic.